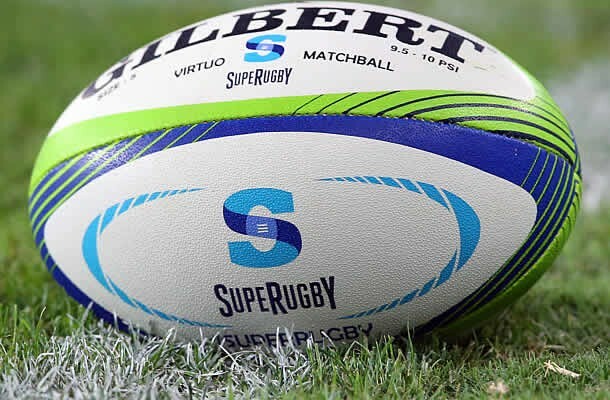 The 2018 Super Rugby season is nearly upon us again as the best sides from Argentina, Australia, Japan, New Zealand and South Africa battle it out for the top provincial prize in southern hemisphere rugby. SANZAAR has made significant changes to improve the tournament. The competition was once the jewel in the crown of franchise rugby on a global level and the proposed changes will aim to shake things up and return it to its former glory. The franchises who have lost out are the Western Force from Australia, as well as the Southern Kings and Cheetahs from South Africa. Both South African teams are now plying their trade in the northern hemisphere’s Guinness PRO14 with mixed fortunes. Australian Conference – Brumbies, Melbourne Rebels, Reds, Waratahs (all Australia), Sunwolves (Japan). New Zealand Conference – Blues, Chiefs, Crusaders, Highlanders, Hurricanes (all New Zealand). South African Conference – Bulls, Lions, Sharks, Stormers (all South Africa), Jaguares (Argentina). Super Rugby will also see an adoption of some law changes that were announced by World Rugby in July 2017. The facets of the game where changes have taken place are the tackle area, the ruck and the scrum. SANZAAR CEO Andy Marinos is on the record as stating he ‘hopes these changes will lead to a better flowing game’. The tackler must get up before playing the ball and can now ONLY play the ball from their own side of the tackle “gate”. A ruck will now commence when AT LEAST ONE player is on their feet and over the ball, which is on the ground along with any tackled player and tackler. At this point the offside lines are created. Players on their feet may use their hands to pick up the ball as long as this is immediate. As soon as an opposition player arrives, no hands can be used. A player can no longer KICK the ball out of a ruck. The player can only hook it in a backwards motion. There will no longer be a signal from the referee. The scrum-half must throw the ball in straight but is allowed to align their shoulder with the middle line of the scrum, therefore allowing them to stand a shoulder width towards their own side of the middle line. The No 8 is now allowed to pick the ball from the feet of the second rows. Reigning champions the Crusaders will be the ones to beat. The most successful franchise in Super Rugby history, they are currently coached by Scott Robertson and proved too good for the Lions at Ellis Park in last year’s final, winning 25-17. Former Munster and Ireland fly-half Ronan O’Gara is now also part of the coaching set-up. Crusaders’rugby team players celebrate with the trophy during the prize ceremony after winning the Super XV rugby final match between Lions and Crusaders. The ‘Saders boast current All Black captain Kieran Read and lock Sam Whitelock in an extremely good pack, which is complemented by some young exciting backs. Runners-up in last year’s event, the Lions play an exciting brand of running rugby which South African sides are not renowned for. It will be interesting to see how the side from Johannesburg perform under new coach Swys De Bruin after the departure Johan Ackerman to Gloucester. Players like Kwagga Smith – man of the match for the Barbarians against New Zealand in November – Jaco Kriel and Elton Jantjies, mark the side from the Highveld as a group who should be pushing for top honours once again. Last year’s semi-finalists are the team to watch, and play a fantastic brand of rugby. Coach Chris Boyd takes over as Director of Rugby at Northampton Saints after this Super Rugby season, and will be looking to make his last coaching campaign a successful one. Any side that contains the Barrett brothers, the Savea siblings, as well as the likes of Dane Coles and Vaea Fifita will be a tough team to beat. Don’t miss any of the Super Rugby 2018 season action with Beluga Hospitality. BOOK your VIP Hospitality Packages today.